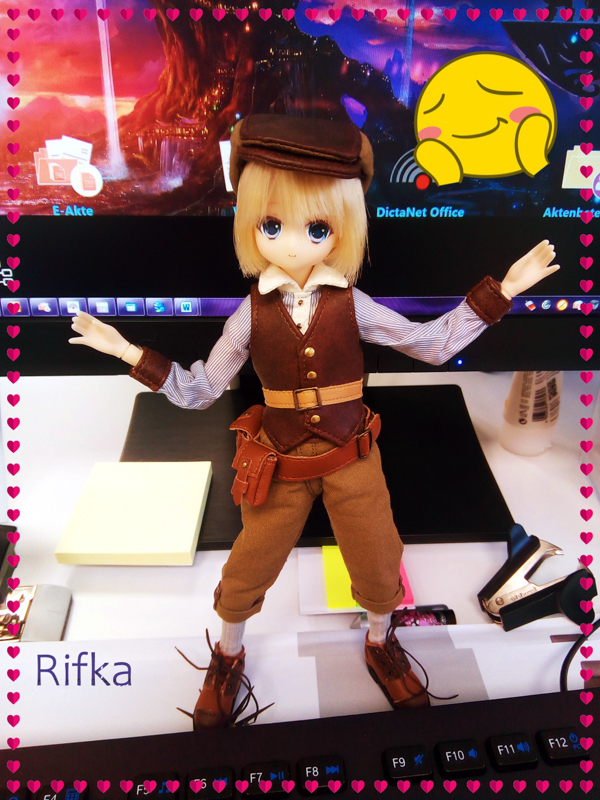 February 1, 2015 Azone International Update KIKIPOP! AmiAmi opened pre-orders for these girls. Hobby Link Japan opened pre-orders for these girls. 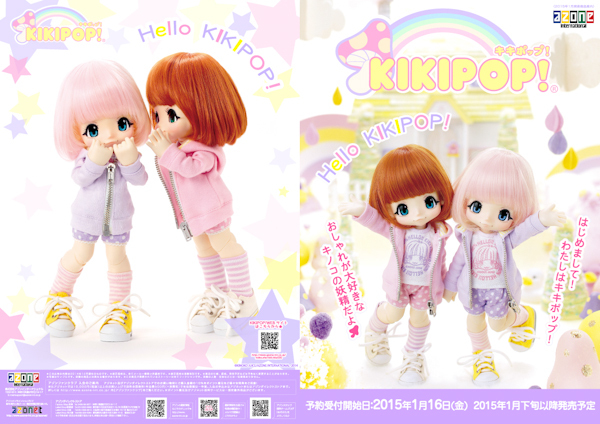 January 30, 2015 Azone International Update KIKIPOP! 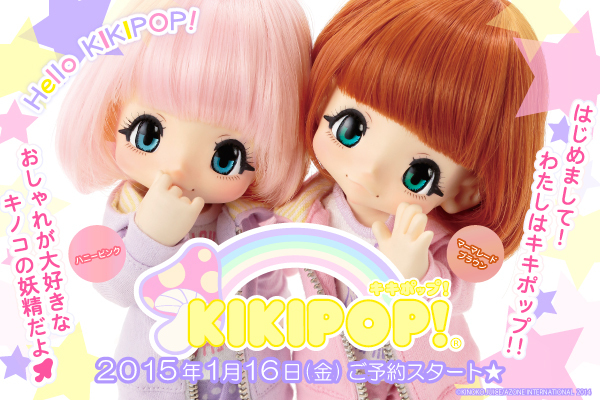 January 21, 2015 Azone International Update KIKIPOP! Azone's Giving You A Second Chance . . .
January 15, 2015 Azone International Update KIKIPOP! 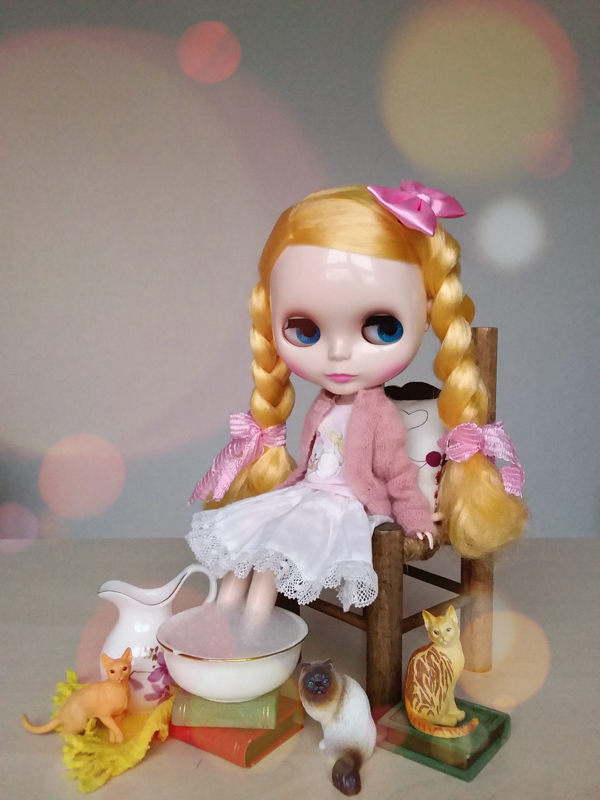 Date Change -> Expect dolls by April 2015, NOT January 2015. 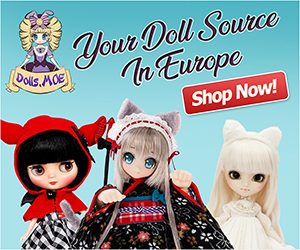 Azone International is releasing a pair of total cuties from the newly launched line titled KIKIPOP! Meet Marmalade Brown and Honey Pink. Both girls are scheduled to come out January 2015 with pre-orders opening January 16, 2015. Yippeeeee, Azone recently created a we page for the anticipated Kinoko Juice Azone doll. 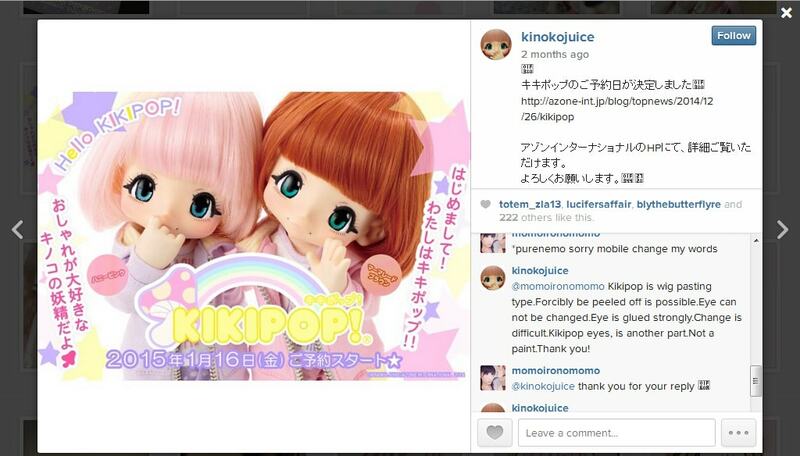 Looks like the series is called KIKIPOP and will include not 1 but 2 incredibly cute dolls! I will update this page when more info is available. Who is Kinoko Juice (キノコジュース)? Kiki Kinoko Juice (Mushroom Juice) are handmade 23cm resin dolls that are extremely rare and limited. Due to the rareness, the price can range from ¥90000 about $742 (yep you read that number correctly) to upwards of $1,500 in the aftermarket! It's really great that Azone and Kinoko Juice teamed up again to make the Kinoko Juice brand accessible to others at a reasonable price. Could you send me a link to the clothes for them, preferably in English? Thank you very much. I cannot afford new dolls anymore but my hubby found me a bootleg in resin for $100. Of course the eyes are wrong, can you recommend a good seller for the eye chips? she takes size 7/8 wig. MSD size. Thanks for a leaving a comment. Unfortunately at this time I don’t know what size wig she wears. You can also get really cute clothes for them on Etsy, a seller I reccomend for KIKIPOP! Is guppykisses . She sells cute bunny ears, t shirts for them, hats, you name it! Also, cyristinecreations is a really good seller too, she sells really pastel kawaii clothes for KIKIPOP! 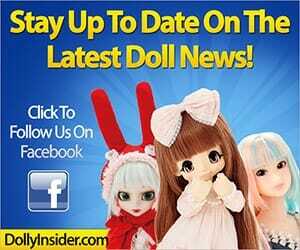 So are these plastic like Hujoo dolls or resin like Volks Super Dollfie? According to Azone International site the Kikipop girls are made of ABS & PVC. I believe the material of Kikipop will closely resemble Hujoo dolls. I might have to pre-order one. Any idea if the eyes are removable? These girls are totally cuteeeee!!! Thanks again for visiting the site and dropping us a comment! Do you happen to know if Kiki’s hair is rooted? I tried looking for details, but alas was not able to decipher the Japanese pages I came across even with Google translation’s help. I’m so happy to know that Azone will give us a second chance to get these cute dolls! 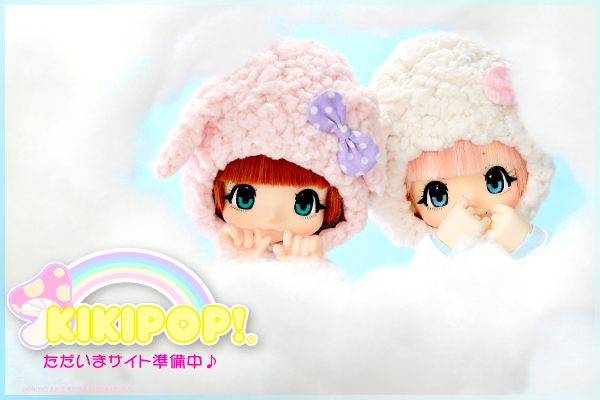 But I have one question: the price ($199) is just for one Kikipop girl or for the pair?! If just for one, it seems a little bit higher than other Azone 1/6 dolls. Anyway, I hope we can order them soon! Since this is a Kinoko Juice Kikipop, the price is higher compared to the other 1/6 characters.